Hon. 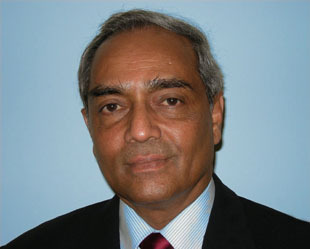 Mohan Peiris, PC has been appointed as the 44th Chief Justice of Sri Lanka on 15th January 2013. His Lordship was the Attorney General of Sri Lanka from 2008 to2011. He was called to the Bar in 1975 and joined the Attorney General's Department in 1981 as a State Counsel, later serving as a Senior State Counsel for over 15 years. During this time he trained at the National Institute of Trial Advocacy at Harvard Law School, the Centre for Police and Criminal Justice Studies at Jesus College, Cambridge and at George Washington University. Leaving the Attorney-General's Department he started his private practice in the Unofficial Bar. He specialized in original and appellate courts in the areas of inter alia, administrative law, commercial law, land law, fundamental rights, industrial law, injunctions and criminal law and as an arbitrator. He was the Chairman of the Board of Examiners for the Intermediate Examination and Examiner of the Sri Lanka Law College, a visiting lecturer at the Faculty of Law of the University of Colombo, Deputy President of the Sri Lanka Bar Association (BASL) and a member of the Sri Lankan Delegation to the Universal Periodic review at the 8th Session of the Human Rights Council of the United Nations.